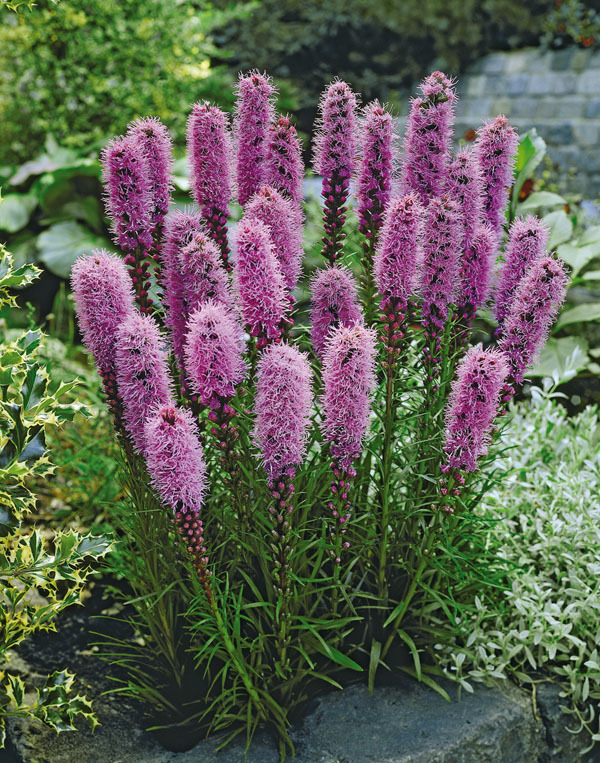 Liatris spicata Blazing Star This native North American member of the Aster family is truly unusual, rather than a disc or umbel, these plants display their flowers on a long spike in purple or white. A very good butterfly plant. 10 8/10 corms/pkg.